There’s no shortage of natural beauty around Seattle. That’s why people love to call our area home, and millions of visitors flock here every year. There’s the Puget Sound, surrounding mountains, and to get more specific – places like Snoqualmie Falls. Snoqualmie Falls is located 29 miles east of Seattle (map). It takes a little effort to drive there, but it’s definitely worth checking out. With more than 1.5 million visitors per year, it’s one of the region’s most popular attractions. Fans of the television show Twin Peaks might recognize the falls from the original series, which was shot in the area. There’s good reason so many people trek to Snoqualmie Falls. The waterfall drops 268 feet (a full 100 feet more than Niagara Falls), and typically runs at an average width of 100 feet. But that’s one of the best things about Snoqualmie Falls: it’s never the same experience twice. Depending on recent rain and snow, current weather conditions, and/or the time of year — the falls are always flowing differently. Parking at Snoqualmie Falls is free. In fact, the whole experience is free. You can enjoy the falls from different viewing platforms (just feet from the nearby parking lot), or you can also hike to a lower viewpoint. The hike is just .7-miles, family- and pet-friendly, and ends with a beautiful view of the falls. 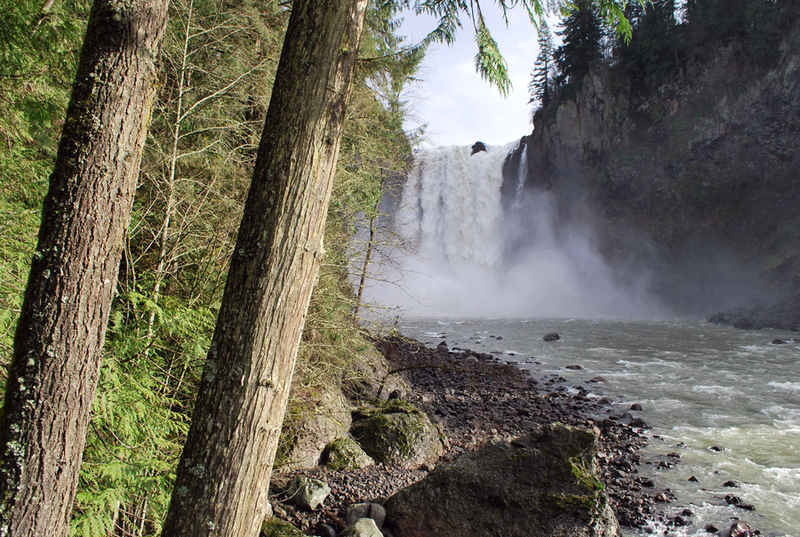 If hiking isn’t your thing, there is a two-acre park to enjoy at Snoqualmie Falls. You’ll notice a hydroelectric dam at the head of the waterfall. It was originally built in 1899, and continues to produce power for the Seattle area. Snoqualmie Falls is also a nesting ground for peregrine falcons, so keep your eyes peeled for them. If you’re looking for an extra special experience, don’t miss the nearby Salish Lodge & Spa. 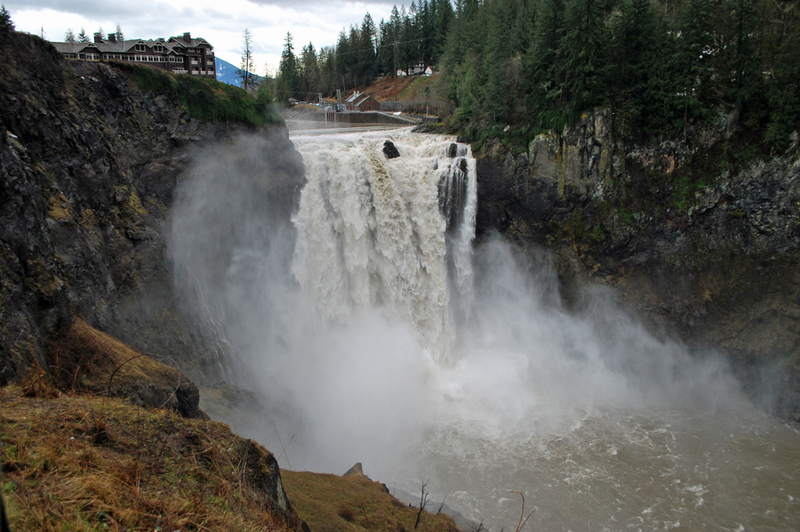 Have you visited Snoqualmie Falls? How was your experience? We’d love to hear from you! Please leave a comment below or connect with us on Twitter, Facebook, and Instagram. Don’t forget to also check out Seattle Bloggers for more great places to visit around the Emerald City!